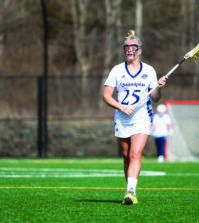 After two losses to Harvard on Saturday, the Quinnipiac softball team looked to turn around the weekend and it did. 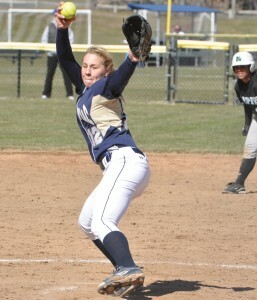 The Bobcats swept Manhattan College on Sunday in a doubleheader. In the second game of the day, the Bobcats lost a seven-run lead in the fifth when the Jaspers batted in five runs, leaving a two-run difference between them. Then in the top of the seventh inning with two outs and the bases loaded, Manhattan’s Kate Bowen drove in two runs to tie the game at 9, forcing the Bobcats into an eighth inning. Quinnipiac head coach Germaine Fairchild said she believed her players would be able to hold off the Jaspers and get the winning run. “[In] a game like this, you’ve been out here for however many hours, you’ve been playing softball for several hours in a row, your hitters are ready,” Fairchild said. 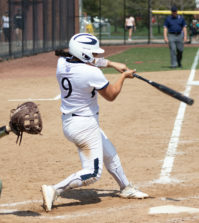 An inning-and-a-half later, the Bobcats came out victorious when Christy Cabrera singled, knocking in Alex Murray for the winning run, to defeat the Jaspers 10-9. The Bobcats went on a streak of their own in the bottom of the third with six runs, scoring three off errors made by Manhattan first baseman Jaci Rahey. In Quinnipiac’s first game of the afternoon, Jordan Paolucci’s home run in the third inning, along with Heather Schwartzburg’s pitching, were the deciding factors in a 5-2 win. With Alex Alba on second and Mina Duffy on first, Paolucci’s swing sent the ball over the right field fence for a three-run homer. Schwartzburg pitched all seven innings, allowing only two runs and seven hits while striking out 11. The Bobcats face Connecticut Thursday in a doubleheader at Burrill Family Field at 3 p.m.